Breakfast: We gained an hour today and still we got up late. It was good to catch up on sleep. 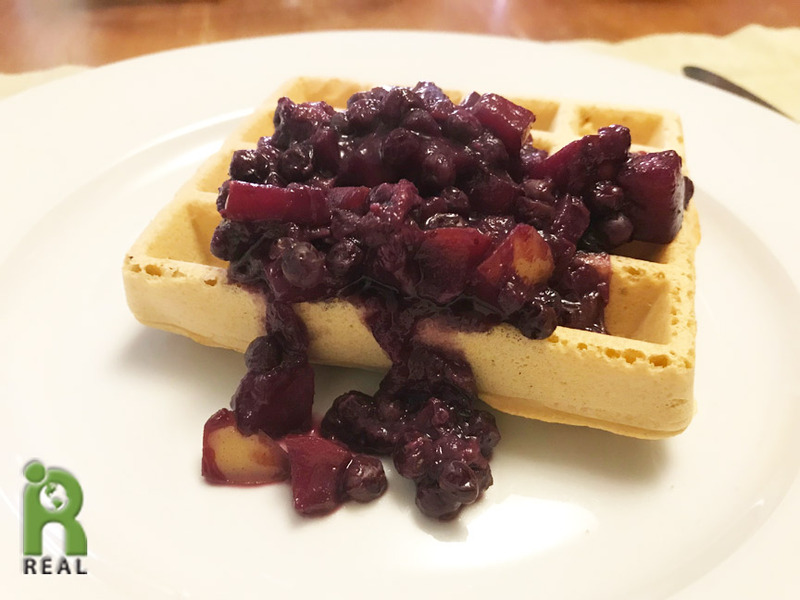 When we finally got up Gary made Garbanzo Bean Flour Waffles with a Blueberry Banana Compote. Lunch: It’s a slow day and I am not doing much of anything. I couldn’t even if I wanted to. 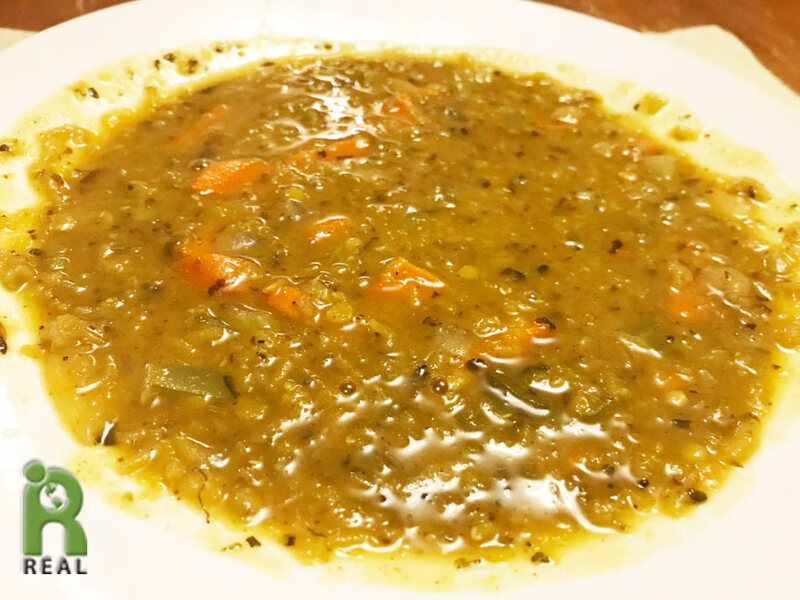 I was glad we had food ready to go, Red Lentil Soup and a Mixed Baby Greens Salad. Dinner: It was getting late, we hadn’t had any dinner and the hunger was getting stronger. 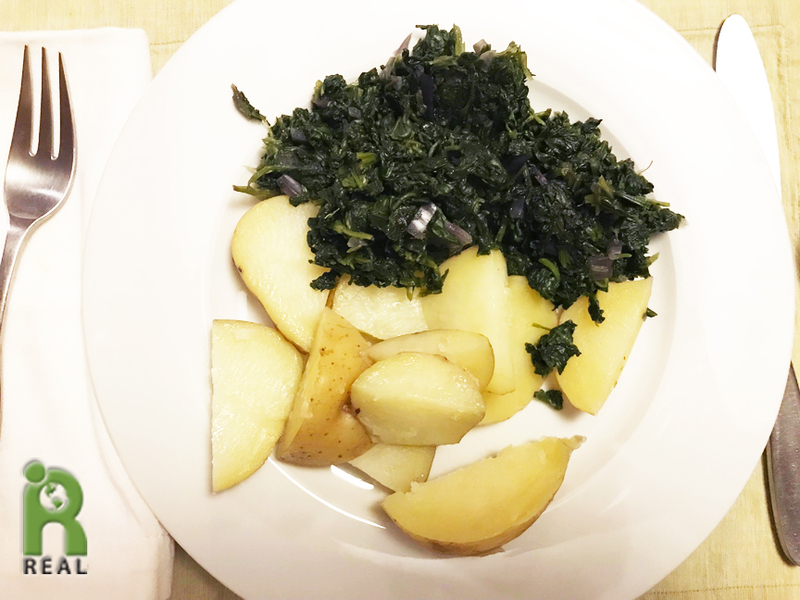 I managed to get a little energy together and make a very simple, but satisfying meal of boiled Yellow Potatoes with Spinach. 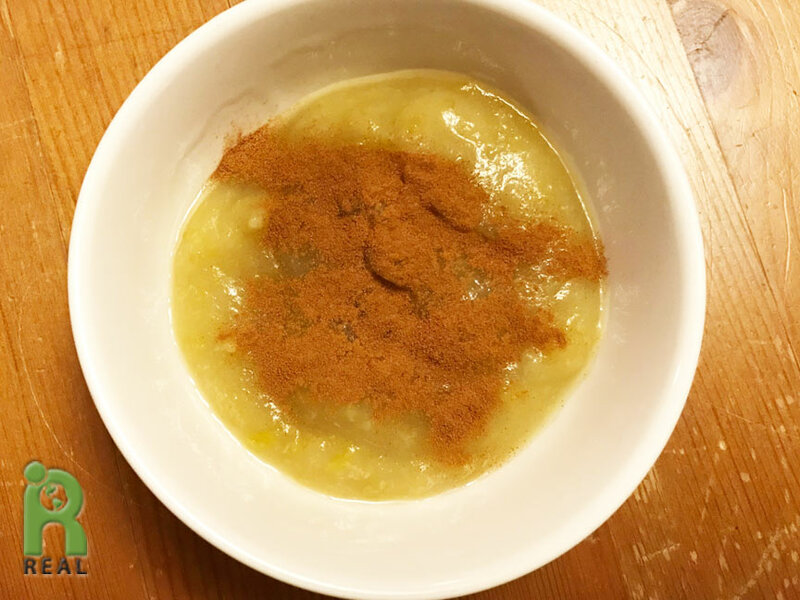 For dessert we had Homemade Applesauce topped with lots of Cinnamon.